The University of Pittsburgh-Johnstown Men’s Soccer ID Camp is open to all boys in grade 9 up to grade 12. This soccer identification camp is ideal for players who are serious about playing at the collegiate level. This training program will provide a great insight into the everyday routine of an elite college soccer program. In addition, the camp aims to provide high-level sessions that will enhance the technical and tactical skills of the participants. All the sessions will be under the supervision of the University of Pittsburgh-Johnstown men’s soccer coaching staff. Furthermore, this camp is a 3-day event that will run from July 14 until July 16. It will take place at the University of Pittsburgh-Johnstown campus. The University of Pittsburgh-Johnstown is a public, coeducational university in Johnstown, Pennsylvania. It is the oldest and the largest campus of the University of Pittsburg. Currently, it is serving around 3,000 students. This student population is with a 55 percent male and 45 percent female students gender distribution. Meanwhile, the university’s enrollment acceptance rate is 81 percent and the student to faculty ratio is 17:1. As a whole, the University of Pittsburgh-Johnstown has an accreditation from the Middle States Association of Colleges and Schools and by the Commission on Higher Education. Its engineering programs have also an accreditation from the Technology Accreditation Commission of the Accreditation Board for Engineering and Technology Inc. In sports, the University of Pittsburgh-Johnstown is participating in the Pennsylvania State Athletic Conference of NCAA Division II. The athletes’ nickname is Mountain Cats. The head coach of the University of Pittsburgh-Johnstown Mountain Cats men’s soccer team since the year 2000 is Eric Kinsey. Under his leadership, the Mountain Cats men’s soccer has already 4 West Virginia Intercollegiate Athletic Conference Tournament appearances. Moreover, Coach Eric Kinsey is a Bachelor of Science Degree in Accounting graduate from the La Roche College. He is also a US Soccer Federation National “C” coaching license holder. 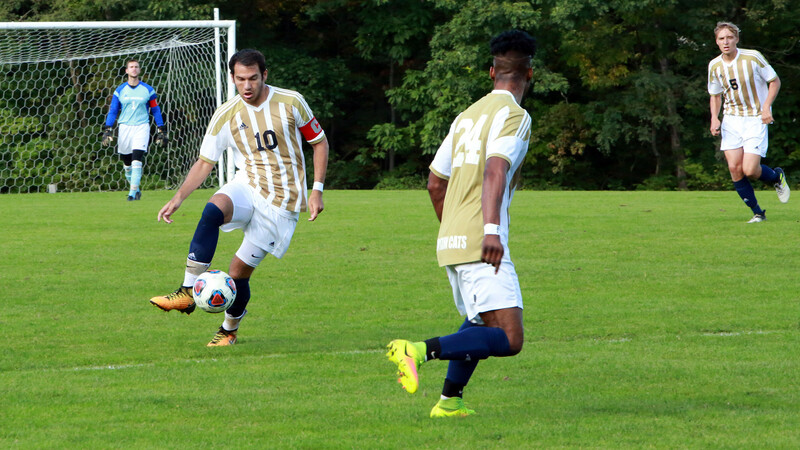 The University of Pittsburgh-Johnstown Men's Soccer ID Camp will provide a great insight into the everyday routine of an elite college soccer program.